RCMP confirmed Monday evening the body of a 24-year old man was recovered following a tragic avalanche on Mount Brewer near Invermere Saturday, January 12th. RCMP said the man was recovered after a search involving the RCMP Underwater Recovery Team. Two men, father and son, from Calgary died in the avalanche. RCMP said in a media release that one man has died and another man remains missing after nine people were caught in an avalanche while snowmobiling near Invermere Saturday. Columbia Valley RCMP said the RCMP Underwater Recovery Team resumed the search Monday morning after it was believed the missing Calgary man had been swept into a lake due to the avalanche. Saturday (January 12) at approximately 2:50 p.m. (MST), the Columbia Valley RCMP was notified by the International Emergency Response Coordination Centre of an emergency beacon message regarding snowmobilers being caught in an avalanche on the East face of Mount Brewer, just southeast of Invermere. "A group of nine snowmobilers from Alberta (Calgary) were snowmobiling together," the RCMP release said. "The avalanche was reportedly triggered after one of the snowmobilers was high marking." 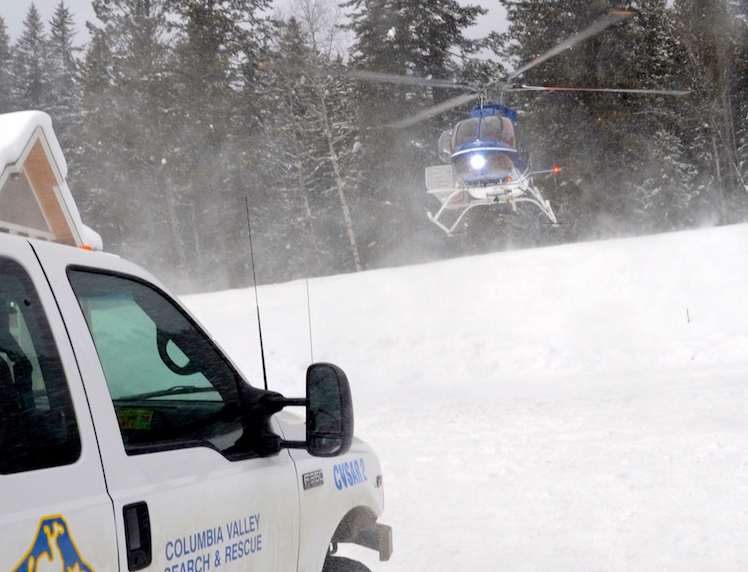 Columbia Valley RCMP requested the assistance of the Columbia Valley Search and Rescue team, who attended the location and recovered a 51-year-old male from Calgary. CPR was initiated and the male was flown to the Invermere and District Hospital where he was confirmed deceased. A 24-year-old male from Calgary is still missing and believed to have been swept into a lake. The missing 24-year-old male is the son of the deceased 51-year-old male. No injuries were reported to the other seven snowmobilers. No further information is being released at this time.